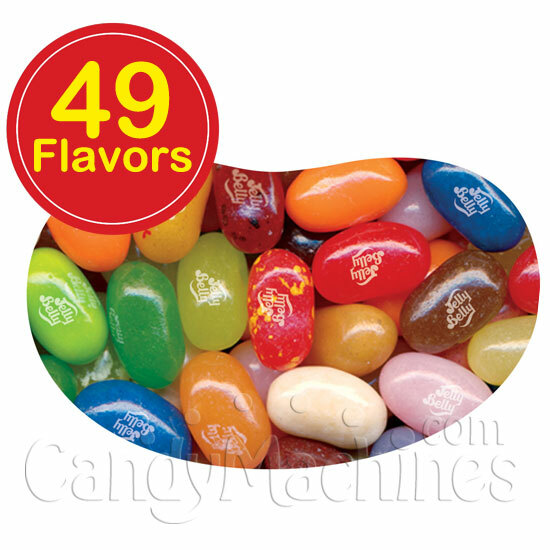 Jelly Belly officially has 50 flavors but why the 49, you ask? It's not a nod to the 49er gold prospectors, although the company is based in California. It's actually because they skip out the spiciest flavor that's too hot to be eaten randomly. Currently it's that rough gold gem Chili Mango. So everyone can have a fun experience scooping up handfuls or combining flavors of jelly beans that only Jelly Belly can make happen. order one with an adjustable candy wheel dispenser to vend these candies in bulk. You may also purchase these candies by the pound if you need smaller quantities. 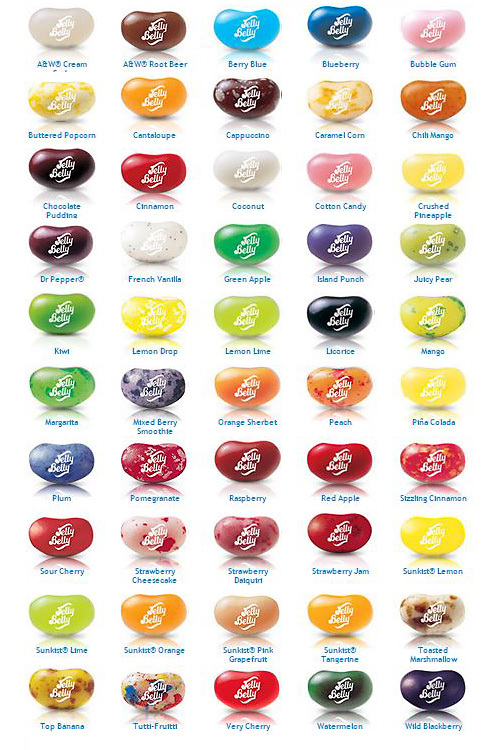 Made by Jelly Belly, these bulk vending jelly bean candies are gluten free, peanut free, dairy free, fat free, vegetarian friendly and OU Kosher Certified. This candy typically vends for 25¢ in commercial vending machines that have an adjustable candy dispensing wheel. Candy stores best in a cool, dry, low humidity location. Their shelf life can be up to 18 months if not exposed to extreme hot or cold temperatures.